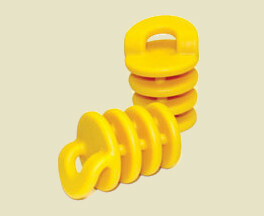 Threaded Drain Plug -for Necky, Old Town or Ocean Kayaks. 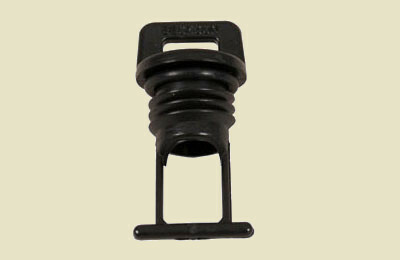 Replacement drain plug (no hardware or housing) for Necky, Old Town or Ocean Kayaks with a threaded drain hole. Good for many other brands too! This item is just the replacement plug only. 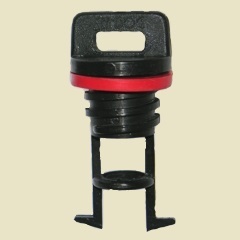 A black/red plug with coarse threads which screws directly into the plastic the kayak is made of. 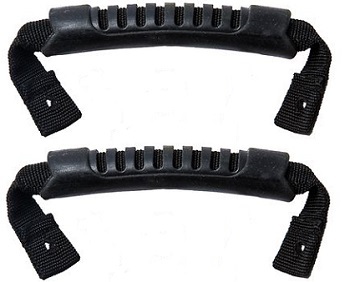 We use these as an upgrade or as a replacement handle. 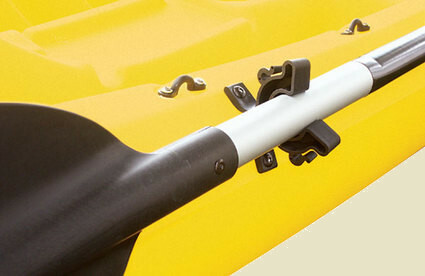 May be installed at the balance point, at either side of the cockpit, side-mounted handles make it easier to lift your kayak solo. May be installed at each end of your craft. Requires a drill with a 13/64" bit to install. Most often installed at the balance point at either side of the cockpit. 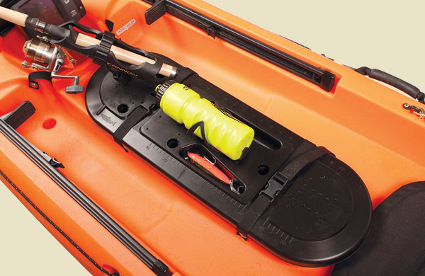 Side-mounted handles make it easier to lift your kayak. Instructions and hardware included. 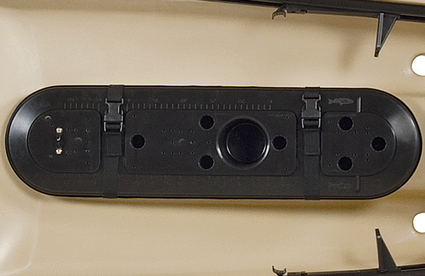 Install with nuts and bolts OR use blind rivets and a rivet gun for hard to reach areas. 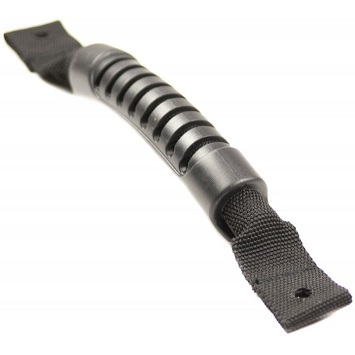 If you have an Ocean Kayak model with existing threaded inserts, we have a version with special bolts for that. One pair of handles with hardware. Our SOT kayak cart fit into scupper holes on Sit-on-Top kayaks; adjustable support arms fit lots of brands/models. 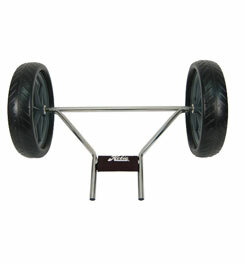 This is a Heavy Duty cart with Air-Less Flat Free Rubber Wheels. 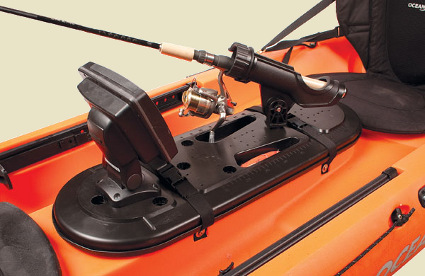 Tilt your kayak on it's side, then plug in the cart, now tilt the kayak right-side-up, then grab one of the handles at bow or stern of your craft and start walking with boat in tow! 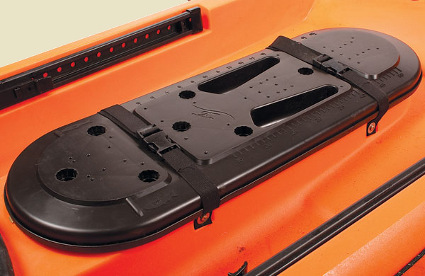 A smooth rolling cart like this makes your boat seam weightless -even when full of gear. This Cart Folds Up For Transport or Storage -Free Mesh Carry Bag with order. 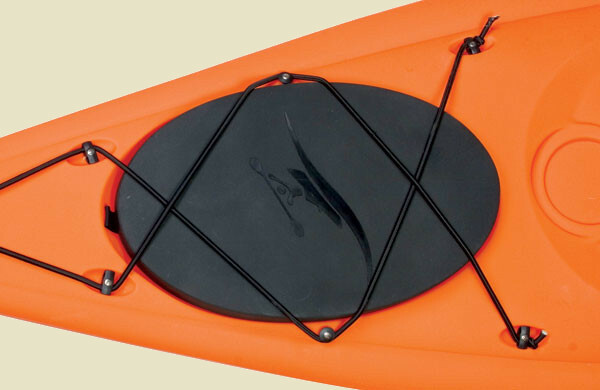 Folds down flat to: 23" x 10" x 3"
Non marring Rubber bumpers protect your kayak from dings or scratches. Adjustable support arms fit ANY scupper dimensions up to 26.5"
This kayak cart is made specifically for the Hobie Eclipse AND Hobie i12S, i14T and i9S Inflatable Kayaks. 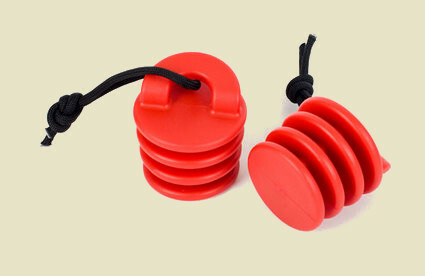 These Hobie wheels are designed for better performance over a variety of surfaces. This is a rugged, reliable cart we've sold for many years. It's also very light and portable. Plugs right into the Mirage Drive receptacle for quick and easy use. This cart has a 130 lbs capacity. A Great cart for transport over grass, trails and parking lots. Kayak Carts are a must for easily transporting your kayak from car to water's edge. Simply roll the kayak down to the water and off you go! All of the latest Hobie Kayaks can use "Plug-in" carts. "Plug-in" carts do just that... they plug right into the bottom of your kayak. Standard is for light duty and solid surfaces. 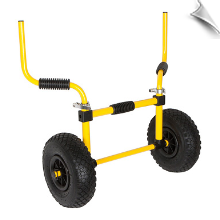 Light weight with durable tires and strong spoked wheels. Stainless steel frame. Wheels are easily removable for storage. Also includes cart keeper feature and cart clamps. This cart has the medium capacity. (150 lb Capacity). 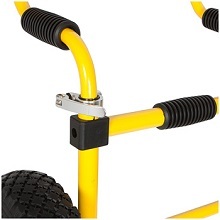 Great for transport over grass, trails and parking lots. 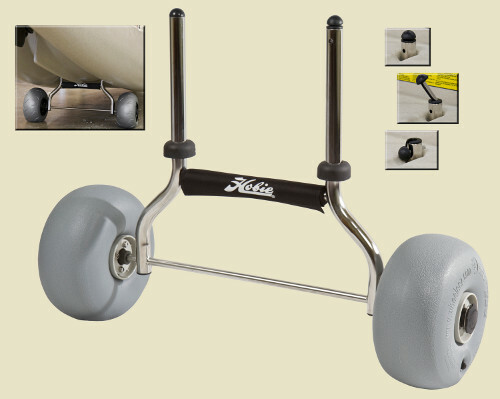 Hobie's highest capacity cart with very durable knobby (Solid Foam) wheels. Welded Stainless steel frame. Wheels are easily removable for storage. Also includes cart keeper feature and cart clamps. 225 lb Capacity. Our recommended cart for all Hobie kayaks; including Pro Angler, Island and Tandem Island. This cart has a high capacity. (225 lb Capacity). Great for transport over beach, grass, rough trails and parking lots. Kayak Carts are a must for easily transporting your kayak from car to water's edge. Simply roll the kayak down to the water and off you go! All of the latest Hobie Kayaks can use "Plug-in" carts. "Plug-in" carts do just that... they plug right into the bottom of your kayak. All-terrain Hobie Trax 2 is the best over soft sand. The Trax 2 Cart has 24 cm (blow-molded polyurethane) pneumatic tires. These tires have a high capacity and are very durable! Welded Stainless steel frame. Wheels are easily removable for storage. This is the best all around cart for soft sand and uneven terrain. The tires are wide and can be deflated for better performance over softer sand and soil. This cart has a medium capacity. (176 lbs Capacity). Great for transport over sand, grass, or beaches. Kayak Carts are a must for easily transporting your kayak from car to water's edge. Simply roll the kayak down to the water and off you go! All of the latest Hobie Kayaks can use "Plug-in" carts. "Plug-in" carts do just that... they plug right into the bottom of your HOBIE kayak. All-terrain Hobie Trax HD cart is the best for moving BIG kayaks over soft sand. The Trax HD cart has 36 cm (blow-molded polyurethane) pneumatic tires. These tires have a high capacity and are very durable! Welded Stainless steel frame. Wheels are easily removable for storage. This cart has a medium capacity. (276 lbs Capacity). Great for transport over sand, grass, or beaches. 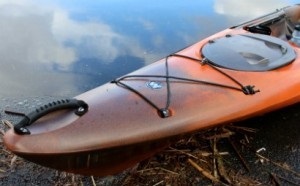 FITS WILDERNESS SYSTEMS TARPON and RIDE kayaks. If you've got a scupper hole, we can plug it. 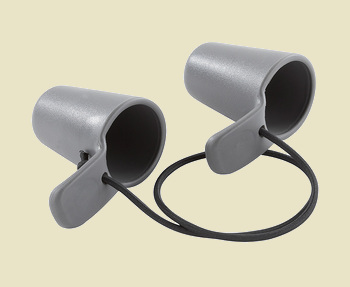 Designed to fit a variety of boats, simply push plugs in place to seal scuppers. 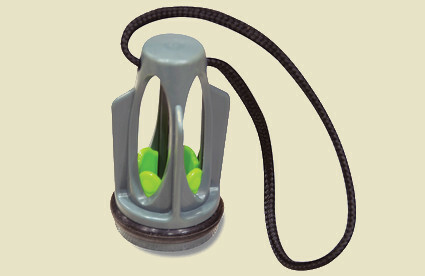 The molded tab with keeper bungee allows plug to be secured to your boat. 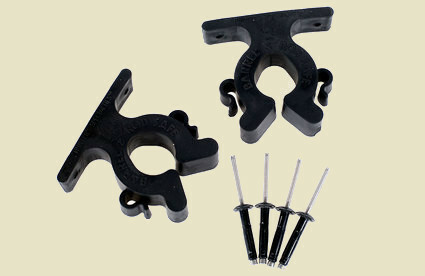 Scupper hole plugs for HOBIE kayaks; fits Quest 11, Quest 13, Odyssey or Kona models. The new generation Seat Back is an adjustable, black nylon-covered closed cell foam in the backrest and the seat for extra comfort all day long. Four integral adjustment straps allow various angles of lean and back support and keep the seat from sliding around under you. 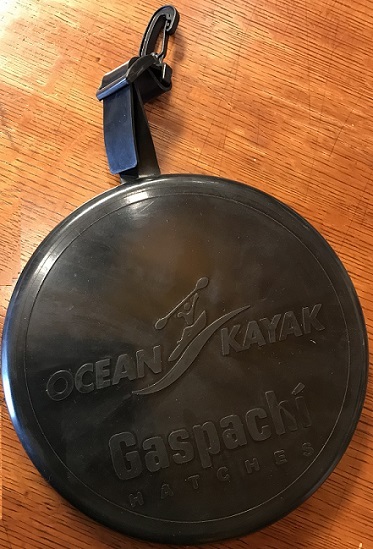 The Comfort Plus kayak seat attaches to your kayak via four adjustment straps with brass snap clips (two going forward and two going to rear). These snap clips attach to properly located "pad eyes" which are already on all "Ocean Kayak" models made within the past several years. 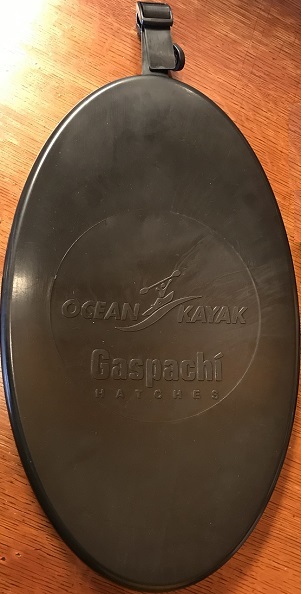 If you have some other brand kayak you may need to add pad eyes to hold the backrest properly. We sell these "pad eyes" with hardware lower on this web page if you need some. The Comfort Tech Seat Back is an adjustable kayak seat with cushy padding, plus a built-in ventilation system, reflective logos and a taller seat back for additional support. 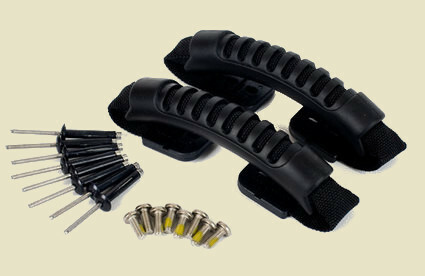 The Comfort Tech kayak seat attaches to your kayak via four adjustment straps with brass snap clips (two going forward and two going to rear). 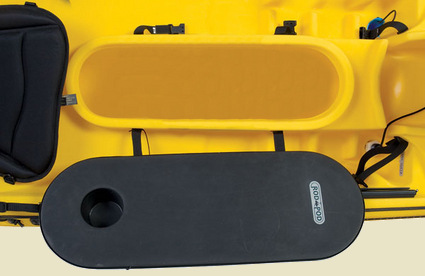 Yellow, thermo-molded rubberized closed cell foam provides Excellent back support for any kayak. This Comfort BackRest is also Very durable, low maintenance and easy to keep clean. 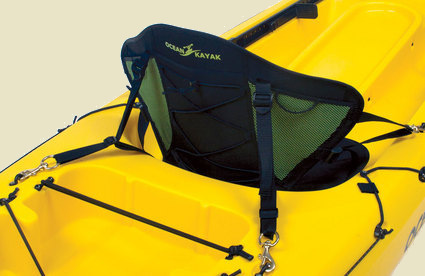 The Comfort BackRest attaches to your kayak via four adjustment straps with brass snap clips (two going forward and two going to rear). 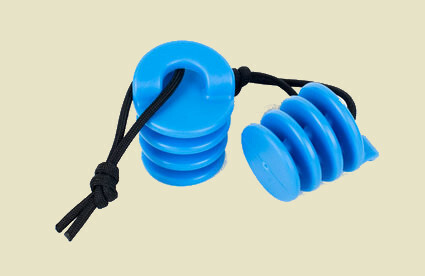 These snap clips attach to properly located "pad eyes" which are already on all "Ocean Kayak" models made within the past several years. If you have some other brand kayak you may need to add pad eyes to hold the backrest properly. We sell these "pad eyes" with hardware lower on this web page if you need some. Gray, thermo-molded rubberized foam provides Excellent back support with a thick padded seat for even more comfort. 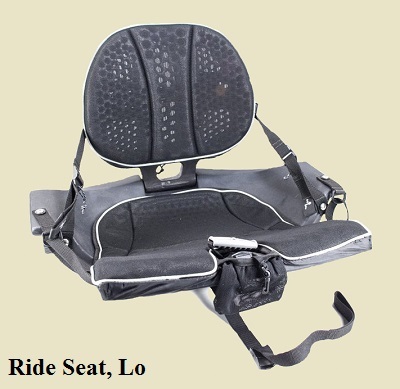 The extra thick seat pad provides a drier ride and great support. 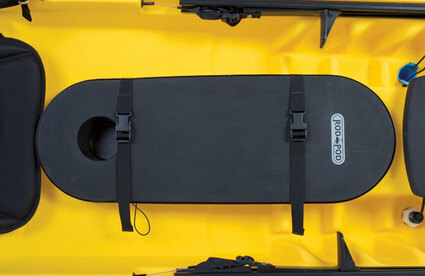 The Comfort PRO kayak seat is Very durable, low maintenance and easy to keep clean. The Comfort PRO kayak seat attaches to your kayak via four adjustment straps with brass snap clips (two going forward and two going to rear). Considered to be our most comfortable and supportive seat back, designed for all day fun on the water. 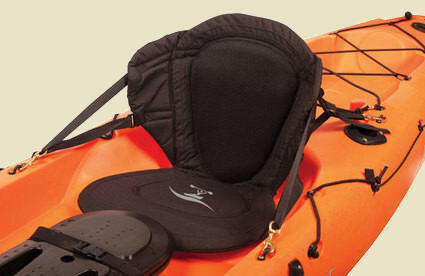 The Comfort Zone kayak seat is taller in the back and more generous on the bottom. The closed cell molded foam used in this seat is still slightly flexible but more firm than our other models, providing additional back support when you really lean back. 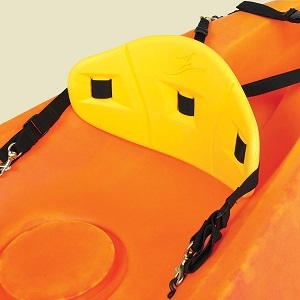 The Comfort ZONE kayak seat attaches to your kayak via four adjustment straps with brass snap clips (two going forward and two going to rear). 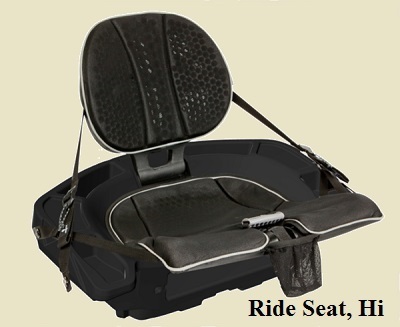 This made in USA seat is sturdy & comfortable and does not compromise on the most important feature; your Comfort! 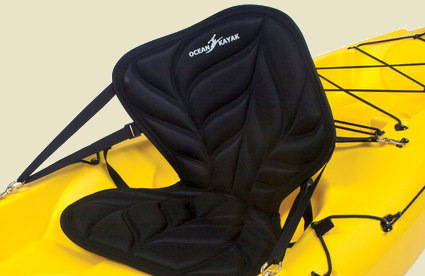 The SeaAirSports seat is nicely padded and the backrest is a little taller and provides more support than most other seats. 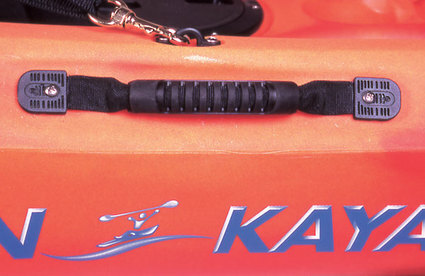 Includes brass clips fore and aft to securely fit most sit-on-top kayaks. The straps are adjustable to control how much you lean back. The rear of the seatback even has a zippered gear pocket and water bottle holder! Fits all Wilderness Systems Ride 115, Ride 135 and Ride 115x kayak models from 2012 to current. A great design with a sturdy adjustable backrest. Available in a higher or lower version. Made to fit within molded tracks on Wilderness Systems Ride 115, Ride 135, and Ride 115x kayaks. This is a tremendous upgrade to the standard Ride seat! A Great design that's Fully Adjustable for High or Low seating and any recline angle. 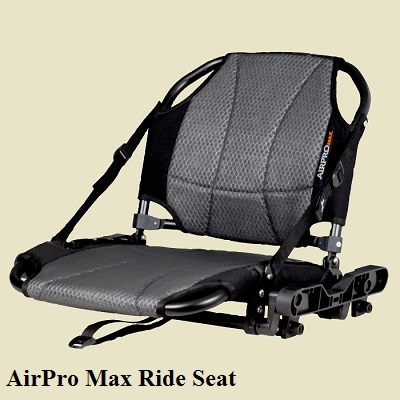 The Phase 3 AirPro Max super premium fishing seat is compatible with the Wilderness Systems Ride model family. This high/low seating system is poised to give kayak anglers the competitive advantage they need to sight fish from the seat of their Ride. The AirPro Max is optimized for comfort and transitions seamlessly from a low to high height position (and vice versa) without any clipping or loosening of straps. There is a third recline position for kicking back and relaxing. The breathable, mesh fabric is highly durable and UV resistant. This kit contains Four pad eyes with hardware... choose hardware type: nuts and bolts OR blind rivets. When using blind rivets you don't need access underneath the deck like you would if using nuts and bolts. 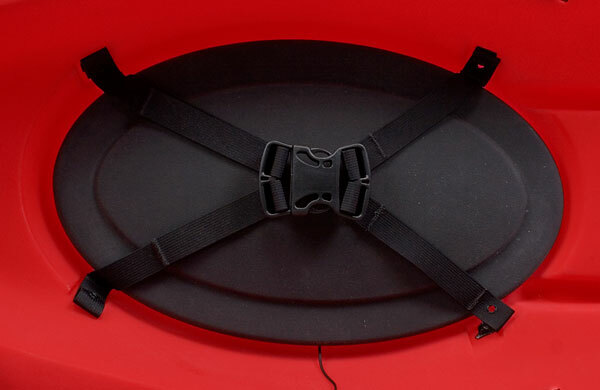 Pad eyes are used to hold things like hatch straps, bungee cords and adjustment straps for kayak seats and backrests.